The Clean Air Act of 1970 signaled a radical environmental shift for the federal government. The legislation marked a sweeping view of regulating air pollution from a federal level. December 2000, the EPA launched a process of emission standards which would ultimately develop into the most rigorous laws in the world. Beginning with the 2007 model year, heavy-duty highway engines were required to comply with impending regulations. In this article, we will review and answer exactly what year trucks require DEF technology. When Was DEF Mandatory in Vehicles? Diesel manufactures explored several technologies to reduce nitrous oxide emissions. NOx absorbers, exhaust gas recirculation, and selective catalytic reduction were examined. Builders settled on SCR technology for large-scale deployment. SCR uses a reducing agent which contains urea and water. DEF is injected upstream into the exhaust, converting NOx to simple gases. SCR technology was first adopted in an automotive application in 2004 by Nissan Diesel. Since that time SCR technology has been implemented worldwide. 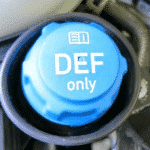 Diesel exhaust fluid (DEF) is the principal catalyst utilized in SCR systems. Duramax engines have been a mainstay technology for Chevrolet and GMC since first installed in 2001. Duramax diesel has been an option across a complete line of light and medium-duty trucks, cars, and Duramax is a cooperative undertaking between General Motors and Isuzu. In 2007, Duramax produced a 6.6L engine with new diesel particulate filter technology. The system required active regeneration and permitted the engine maker to reach the upcoming EPA regulations. In 2011 General Motors released the latest in its Duramax line, labeled the LML. This version introduced advanced emission controls, including diesel exhaust fluid injection. There was considerable scrutiny when Duramax released the LML version. Implementation of SCR systems demands a constant flow of diesel exhaust fluid. However, it was discovered the technology produced better than expected fuel economy. 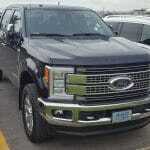 DEF was not costly, and owners were enjoying better performance from their Duramax engines. The Cummins (Dodge) diesel has been in continuous manufacture since Clessie Cummins (a local mechanic) first cultivated the technology in 1919. By 2013, Cummins has conquered a substantial portion of the worlds heavy-duty truck engine market. Due to increased regulations, Cummins purchased Nelson Industries (an emissions subsidiary) and changed the name to Cummins Emission Solutions. Starting with the 6.7L engine introduced midway through 2007, Cummins introduced a complex set of components to fight toxic nitrous oxide emissions. 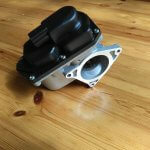 SCR became a standard technology for the engine starting from 2007 to 2012. SCR was called for on every Cummins diesel beginning with the 2011 model year. Cummins Industries has expanded their own Urea Dosing Technologies to facilitate emission controls across a vast product line. 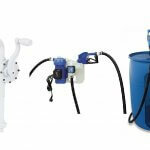 The dosing system is a thorough solution from individual tanks to injectors. Cummins Industries produce diesel exhaust fluid under the Fleetguard brand. 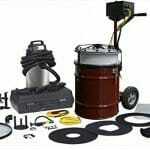 DEF can be purchased from Cummins Filtration Products. Diesel engine builders use several technologies to fight toxic emissions. Manufacturers use all or some of the following. Exhaust Gas Recirculation (EGR). The process reduces NOx emissions by metering exhaust emissions through the intake. Exhaust gases are rerouted back through the system. Diesel Oxidation Catalyst (DOC). Palladium and platinum are applied as catalysts to convert pollutants into water and carbon dioxide. NOx Absorption Catalyst. The NAC captures nitrous oxide emission and traps them during a rich fuel burn. 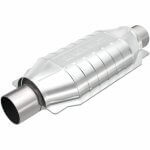 Diesel Particulate Filter (DPF) The system filters particulate matter via a honeycomb shaped element. 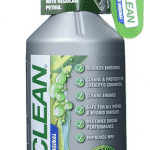 Passive and active regeneration are two cleaning methods. Selective Catalytic Reduction (SCR) with diesel exhaust fluid (DEF) used as a catalyst. Navistar built the Powerstroke diesel until 2010 when Ford produced the engine under the Ford umbrella. The 6.4L introduced in 2008 was fraught with troubles. It was the first design with a diesel particulate filter and had several fuel economy issues. Ford replaced the engine with their 6.7L in 2010. This engine was constructed to burn low-sulfur fuel (15 ppm). The 6.7L was interlaced with a network of emission control mechanisms. There was a distinct configuration change from a pickup to a chassis cab design. However, output was the same. Fords selective catalytic reduction and diesel exhaust fluid lowered the number of regeneration cycles for the diesel particulate filter. This technology improvement positively impacted gas mileage and strengthened the longevity of the platform. A majority of diesel engine builders produce their own diesel exhaust fluid. DEF must reach the ISO 22241 standard for purity for the material to be called diesel exhaust fluid. 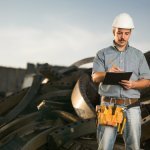 ISO 22241 is an international designation defining quality requirements. 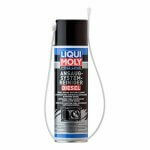 Diesel exhaust fluid must have a concentration of 32.5% urea and 67.5% deionized water by weight. Diesel engines require pharmaceutical grade urea and not agricultural grade. Another significant area is the use of de-ionized water. Without quality diesel exhaust fluid, operators risk critical failure to their diesel engines. 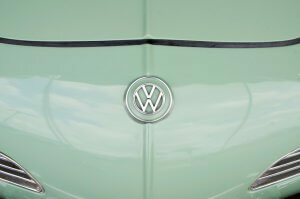 Volkswagen has produced diesel engines since 1971, introduced with the 1.5L Golf. Technology breakthroughs came in the 80s with the inclusion of turbocharging and direct injection. Volkswagen will be forever known for “emissionsgate.” The Environmental Protection Agency established, the company had violated the EPAs Clean Air Act. 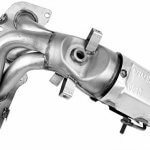 It was discovered the automaker had programmed direct injection turbochargers to activate emission controls only during laboratory testing. This deception caused vehicles NOx output to meet stringent United States guidelines. In real-world driving, Volkswagen vehicles emitted 40 times more nitrous oxide emissions than authorized. The deceitful software programming affected nearly 11 million cars worldwide and 500,000 cars in the United States. Deliberate emissions cheating will ultimately cost the company roughly $14.7 billion worldwide, and the scandal is not anywhere near being resolved. In 2007, diesel engine builders decided on selective catalytic reduction as the technology of choice to satisfy impending EPA regulations. 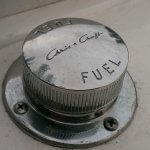 Diesel exhaust fluid became vital for the successful operation of emission controls. SCR systems resulted in better fuel economy. Engineers no longer had to focus on in-cylinder combustion processes to control nitrous oxide emissions. Diesel engines and complementary systems work more efficiently and much cleaner with the implementation of SCR and diesel exhaust fluid. Hopefully, now you know which year trucks require DEF. 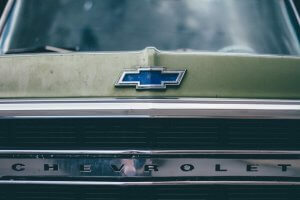 What Year Did Chevy Start Using DEF and Why? 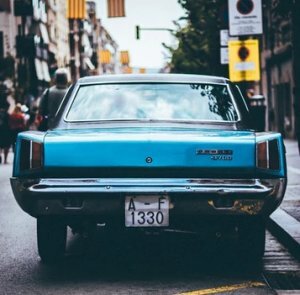 What Year Did Dodge Start Using DPF and Why?